The Microgaming Poker Network (MPN) has brought back its Blazing Cannon miniature game for a limited time offering players the chance to bag instant €1, €10 and €100 cash prizes. 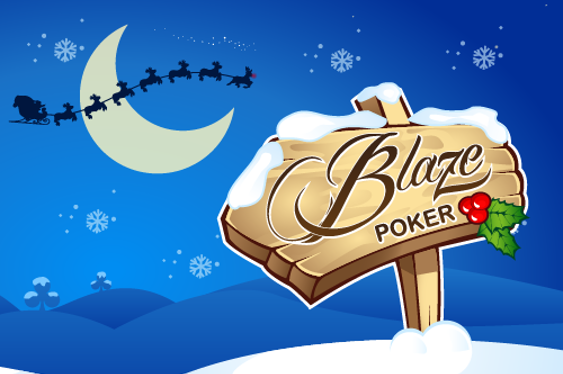 From now until December 29, online poker players will be able to enjoy Blazing Cannon simply for winning all or part of the pot in 20 raked real-money Blaze Poker fast-fold hands. The miniature games sees eligible players whisked away to a virtual firing range where they are invited to take a shot at a pile of playing cards using a blazing Christmas pudding. “Will the blazing Christmas pudding strike enough gold suits to land the top prize or will the cannon misfire,” read a statement from the MPN. To kick off this promotion, the MPN has set the Blazing Cannon counter to 19 for today only meaning that players will simply be required to win one pot in order to access the miniature game. “Blazing Cannon is a fun mini-game exclusive to Blaze Poker on the MPN,” said Alex Scott from developer Microgaming.